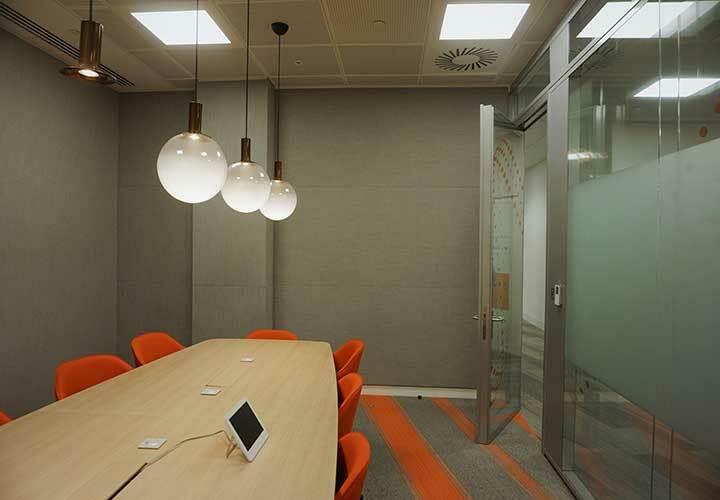 Former home of Bank of America, the building at 5 Canada Square has been taken over by the Client and renewed to contemporary standards. 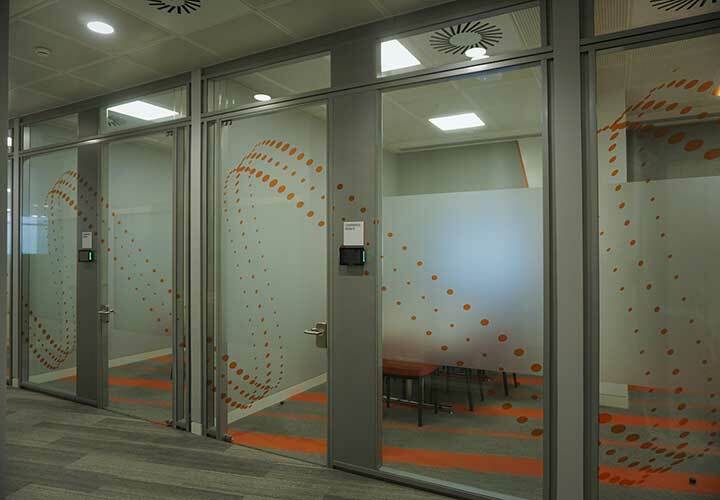 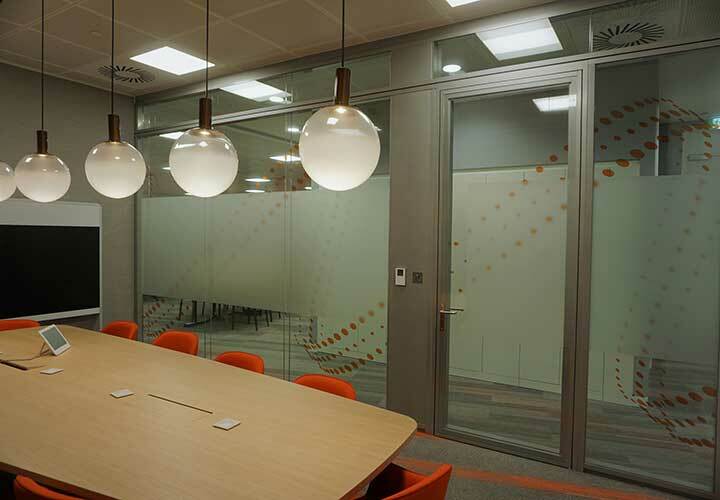 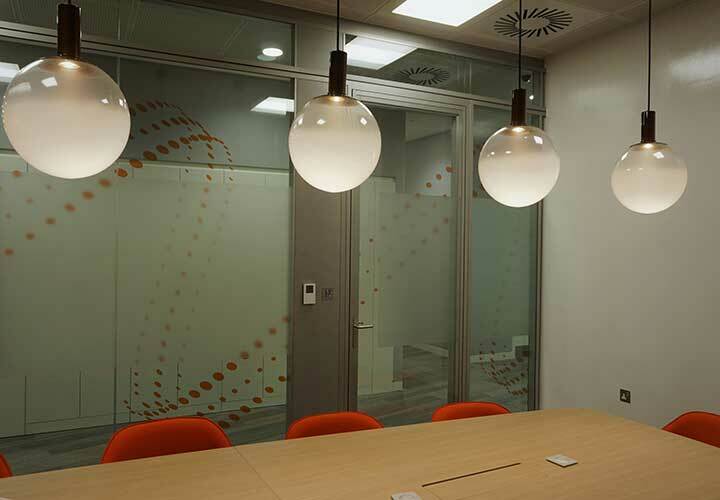 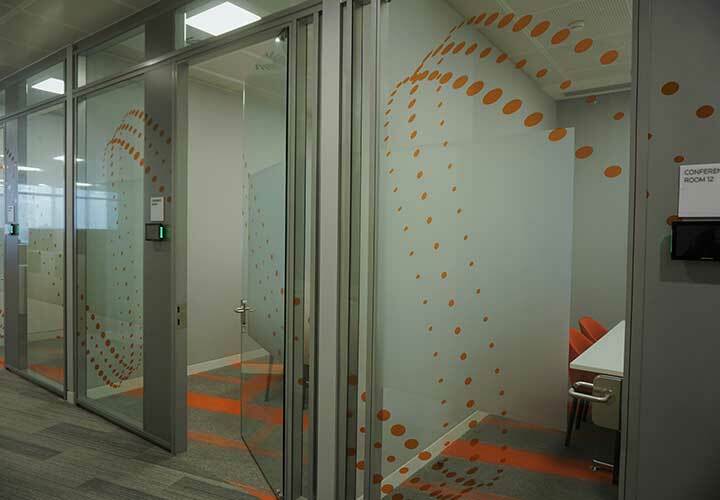 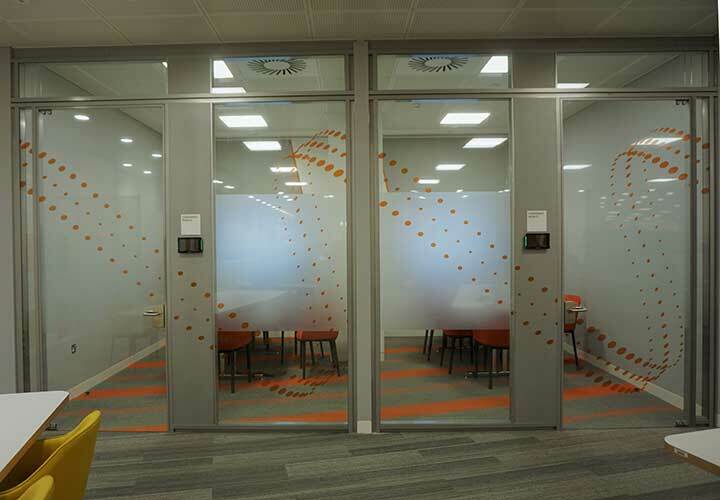 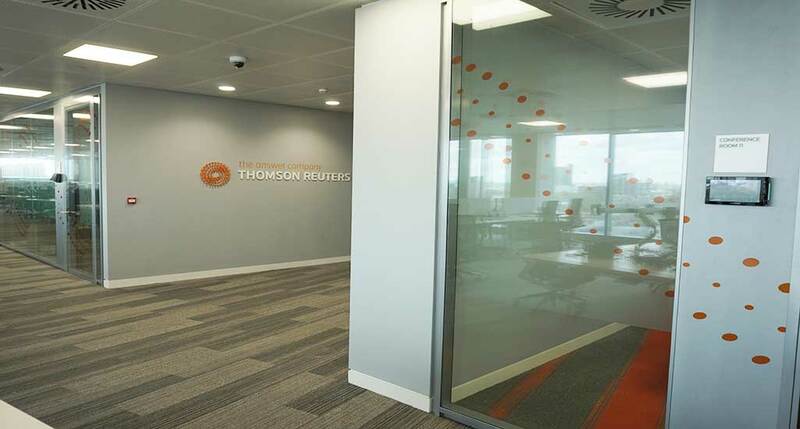 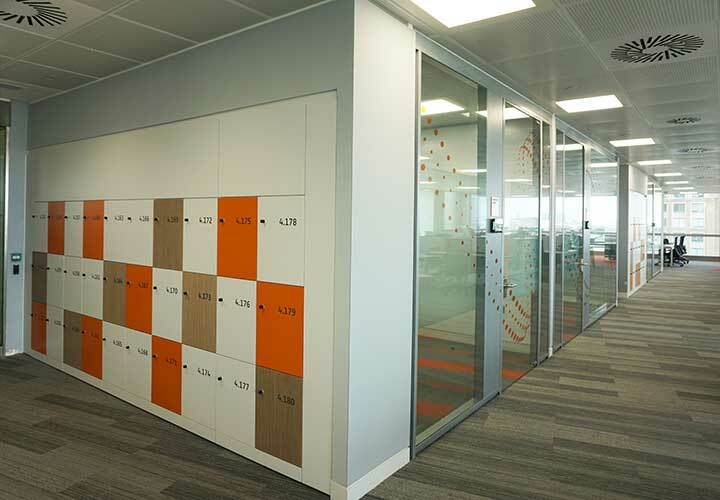 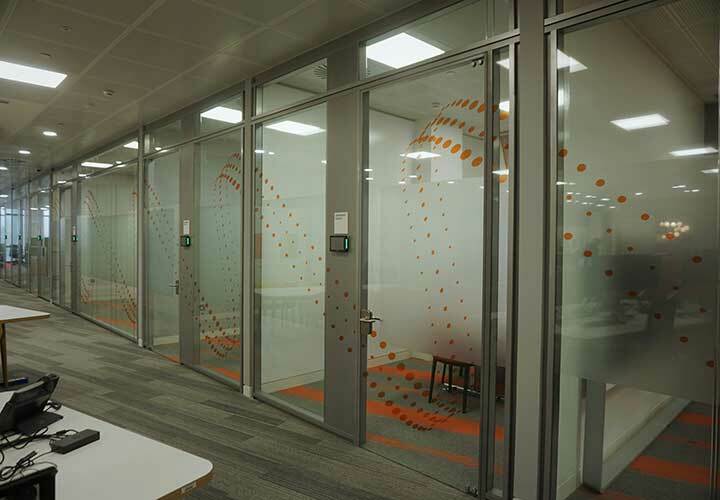 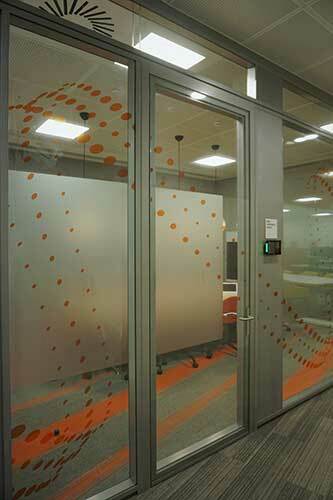 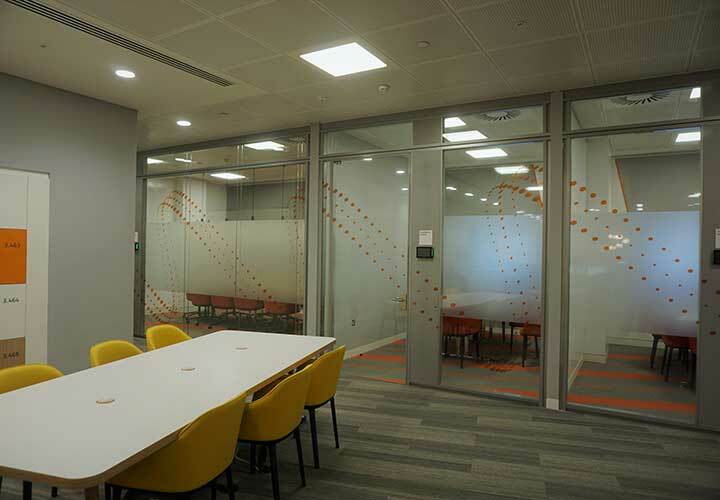 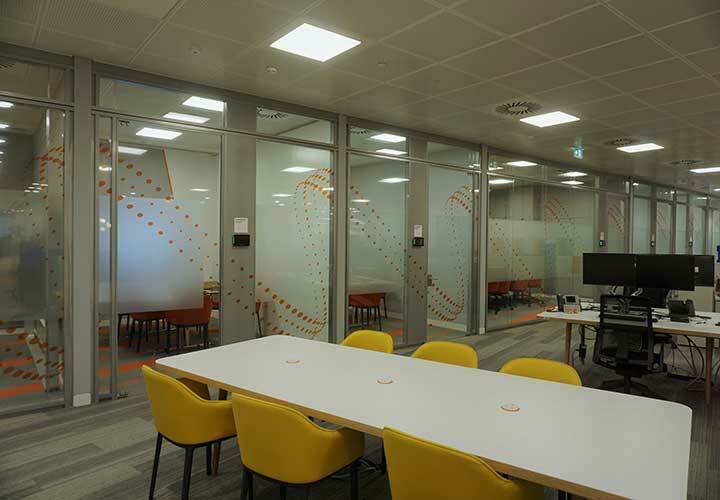 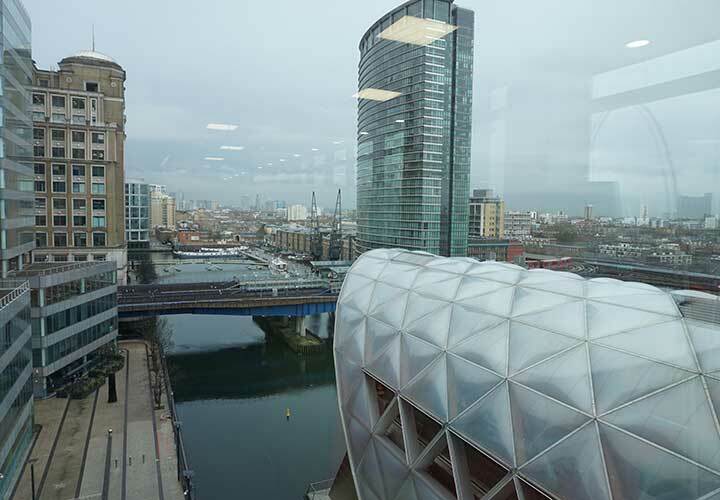 Whilst most of the furniture and fittings had surpassed their sell by date and required complete replacement, by contrast the original partition system was easily capable of being re-used as its design is very much in line with current industry frameless glazing solutions. 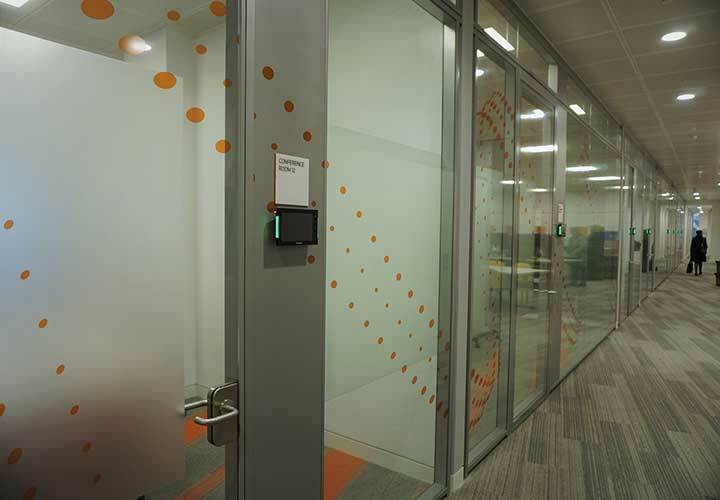 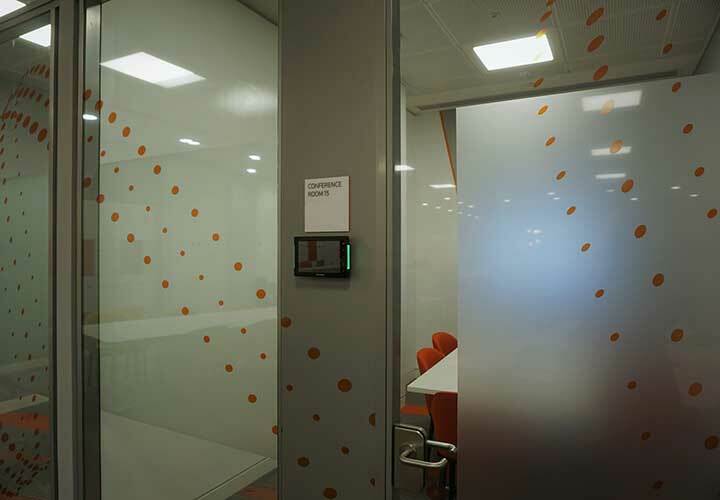 However some improvements were introduced such as double glazed doors for the meeting rooms, new technical panels with ipad displays. 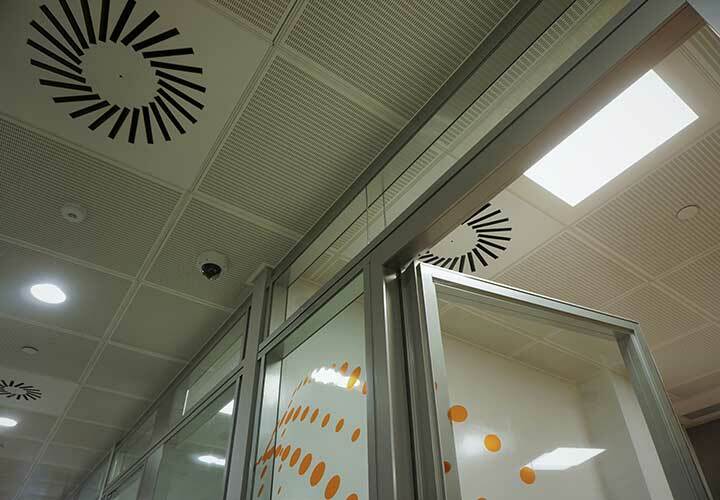 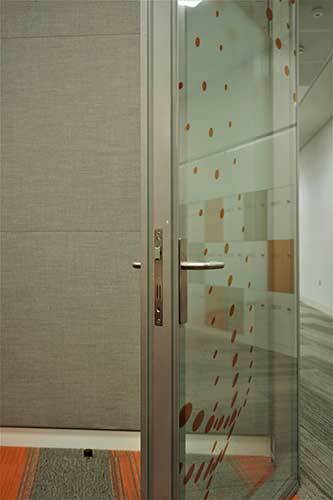 Together with new graphic decoration the P700 system delivers a fresh new look to the enhanced interiors. 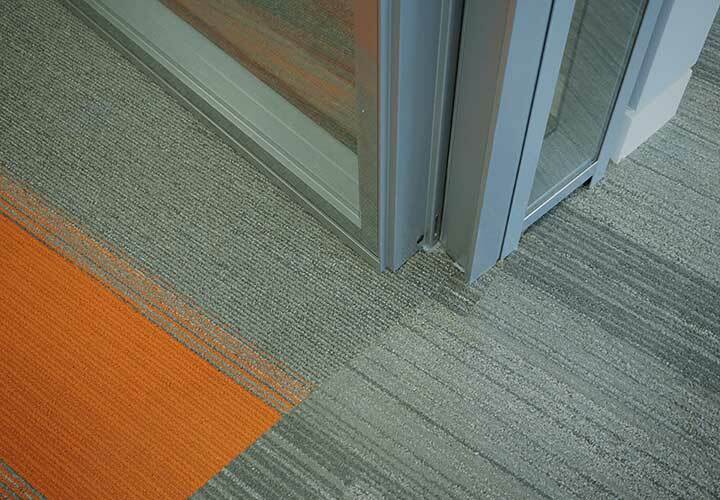 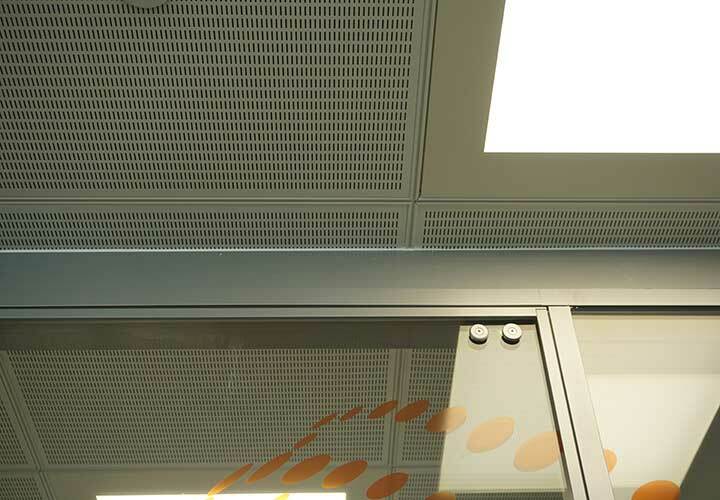 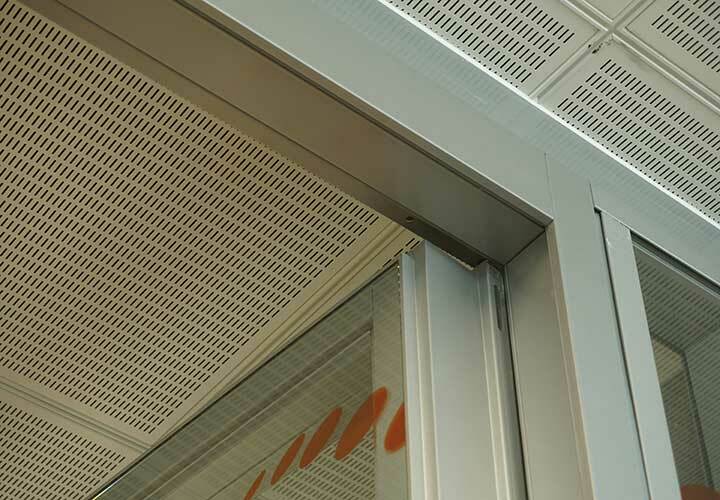 The straight re-use of components without even taking materials off the floors has contributed to the goal of delivering a sustainable project without compromise to the design or performance of the new scheme.